Work tasks include responsibility for the management of submerged cultural resources in northern Norway in a position partially financed by the Directorate for Cultural Heritage. Research integrating cultural heritage concerns with a focus on waterscapes from the Iron Age to the present. Long-standing research interests in the western Pacific and Oceania. Recent projects include research on perceptions of heritage in Palau, western Micronesia and the materiality of Australian South Sea Islander identity in Queensland, Australia. Balascio, Nicholas L.; Wickler, Stephen. Human–environment dynamics during the Iron Age in the Lofoten Islands, Norway. Norsk Geografisk Tidsskrift 2018; Volum 72 (3). ISSN 0029-1951.s 146 - 160.s doi: 10.1080/00291951.2018.1466831. Balascio, Nicholas L.; D’Andrea, William J.; Anderson, R. Scott; Wickler, Stephen. Influence of vegetation type on n-alkane composition and hydrogen isotope values from a high latitude ombrotrophic bog. Organic Geochemistry 2018; Volum 121. ISSN 0146-6380.s 48 - 57.s doi: 10.1016/j.orggeochem.2018.03.008. Panagiotakopulu, Eva; Buckland, Paul C.; Wickler, Stephen. Is there anybody in there? Entomological evidence from a boat burial at Øksnes in Vesterålen, northern Norway.. PLoS ONE 2018; Volum 13 (7). ISSN 1932-6203.s doi: 10.1371/journal.pone.0200545. Wickler, Stephen; Lindahl, Ingvar; Nilsson, Lars Petter. Soapstone in Northern Norway: archaeological and geological evidence, quarry and artifact survey results. 2017 (9) ISBN 978-82-90273-90-8. ISSN 0809-6058.s 41 - 58. Wickler, Stephen. Medieval Shipwrecks from North Norway and their Contribution to Understanding Maritime Interaction and Trade. International Journal of Nautical Archaeology 2016; Volum 45 (1). ISSN 1057-2414.s 59 - 76.s doi: 10.1111/1095-9270.12146. Wickler, Stephen. The centrality of small islands in Arctic Norway from the Viking Age to Recent Historic Period. Journal of Island & Coastal Archaeology 2016; Volum 11 (2). ISSN 1556-4894.s 171 - 194.s doi: 10.1080/15564894.2015.1134728. Dove, Carla J.; Wickler, Stephen. Identification of bird species used to make a Viking Age feather pillow. Arctic 2016; Volum 69 (1). ISSN 0004-0843.s 29 - 36.s doi: 10.14430/arctic4546. Wickler, Stephen. Soapstone in northern Norway: research status, production evidence and quarry survey results. 2015 ISBN 9788278870426.s 117 - 128. Wickler, Stephen. Gauging perceptions of heritage in Palau. Sean Kingston Publishing 2015 ISBN 978-1-907774-38-6.s 218 - 241. Wickler, Stephen; Narmo, Lars Erik. Tracing the development of fishing settlement from the Iron Age to the modern period in northern Norway: a case study from Borgvær in the Lofoten Islands. Journal of Island & Coastal Archaeology 2014; Volum 9 (1). ISSN 1556-4894.s 72 - 87.s doi: 10.1080/15564894.2013.810678. Wickler, Stephen. The materiality of South Sea Islander heritage in Queensland, Australia. Green Lines Institute 2014 ISBN 978-989-98013-6-3.s 629 - 639. Wickler, Stephen. The potential of shoreline and shallow submerged Iron Age and Medieval archaeological sites in the Lofoten Islands, northern Norway. Archaeopress 2013 ISBN 978 1 4073 11913.s 63 - 74. Wickler, Stephen; Falck, Tori; Nymoen, Pål. Betraktninger om middelalderens Vágar basert på undervannsarkeologiske kilder. 2013 (XXXIV) ISBN 978-82-7142-064-2. ISSN 0085-7394.s 59 - 76. Wickler, Stephen; Nilsen, Gørill. Pre-Modern Boathouses: a maritime perspective from northern Norway. International Journal of Nautical Archaeology 2012; Volum 41 (1). ISSN 1057-2414.s 106 - 119.s doi: 10.1111/j.1095-9270.2011.00338.x. Wickler, Stephen. Historic preservation, museums and community-based approaches to cultural heritage: a comparative perspective from Palau and northern Norway. Green Lines Institute 2012 ISBN 978-989-98013-1-8.s 393 - 401. Balascio, Nicholas L.; Wickler, Stephen; Narmo, Lars Erik; Bradley, Raymond S.. Distal cryptotephra found in a Viking boathouse: the potential for tephrochronology in reconstructing the Iron Age in Norway. Journal of Archaeological Science 2011; Volum 38 (4). ISSN 0305-4403.s 934 - 941.s doi: 10.1016/j.jas.2010.11.023. Nilsen, Gørill; Wickler, Stephen. Boathouses as Indicators of Ethnic Interaction?. Acta Borealia 2011; Volum 28 (1). ISSN 0800-3831.s 55 - 88.s doi: 10.1080/08003831.2011.575660. Nilsen, Gørill; Wickler, Stephen. Boathouse Excavation at Skonsvika. Novus Forlag 2011; Volum CXXXIX (139) ISBN 978-82-7099-651-3. ISSN 0332-6217.s 121 - 129. Wickler, Stephen. Visualizing Sami waterscapes in northern Norway from an archaeological perspective. Archaeopress 2010 ISBN 9781407306964.s 349 - 361. Wickler, Stephen. Submerged cultural heritage and ethnicity in northern Norway: visualizing Sami waterscapes from an archaeological perspective. Varanger Samiske Museums Skrifter 2010; Volum 6. ISSN 0809-702X.s 117 - 131. Larson, Greger; Cucchi, Thomas; Fujita, Masakatsu; Matisoo-Smith, Elizabeth; Robins, Judith; Anderson, A; Rolett, Barry; Spriggs, Matthew; Dolman, Gaynor; Kim, TH; Thuy, NTD; Randi, E; Doherty, M; Due, RA; Bollt, R; Djubiantono, T; Griffin, B; Intoh, M; Keane, E; Kirch, P; Li, KT; Morwood, M; Pedrina, LM; Piper, PJ; Rabett, Ryan; Shooter, Peter; Van den Bergh, Gert; West, Eric; Wickler, Stephen; Yuan, J; Cooper, Alan; Dobney, Keith. Phylogeny and ancient DNA of Sus provides insights into neolithic expansion in island southeast Asia and Oceania. Proceedings of the National Academy of Sciences of the United States of America 2007; Volum 104. ISSN 0027-8424.s doi: 10.1073/pnas.0607753104. Wickler, Stephen; Nilsen, Gørill. Iron Age boathouses in Arctic Norway viewed as multifunctional expressions of maritime cultural heritage. WIT Press 2005 ISBN 1-84564-010-1.s 15 - 24. Wickler, Stephen kent. Modeling the colonization of western Micronesia: a review of recent evidence focusing on Palau. 2004 ISBN 8493145491.s 23 - 42. Wickler, Stephen kent. A maritime view of the past in North Norway. 2004 (7) ISBN 82-7142-035-6.s 60 - 71. Wickler, Stephen kent. Modelling colonisation and migration in Micronesia from a zooarchaeological perspective. Ox Bow Press 2004 ISBN 1842171143.s 28 - 41. Mondani, Mariana; Munoz, Sebastian; Wickler, Stephen kent. Colonisation, Migration and Marginal Areas: A zooarchaeological approach. Ox Bow Press 2004 ISBN 1842171143.s 28 - 41. Wickler, Stephen kent. Archaeology in North Norway. 2004 (7) ISBN 82-7142-035-6.s 22 - 33. Wickler, Stephen. Archaeology in North Norway. 2004 ISBN 82-7142-035-6.s 11 - 21. Wickler, Stephen. Feltrapporter fra marinarkeologisk registreringsundersøkelser i regi av TMU i 2018 (8 rapporter). 2018. Wickler, Stephen. Lovundbåten: pågående arbeid og prosjektstatus. Samarbeidsmøte for nordnorsk forvaltningsarkeologi 2018-04-19 - 2018-04-20 2018. Wickler, Stephen; Jørgensen, Roger. Høyfjellsarkeologi og reinfangst i Nord. NORARK innsikt artikkel. (fulltekst) 2018. Wickler, Stephen; Falck, Tori. Lovundbåten – Nord-Norges eneste bevarte middelalder fartøy. Spor 2018; Volum 2018 (1). ISSN 0801-5376.s 10 - 15. Wickler, Stephen. Arctic shipwrecks as heritage icons and ships as symbols of cultural identity. HERITAGE 2018 – 6th International Conference on Heritage and Sustainable Development 2018-06-12 - 2018-06-15 2018. Wickler, Stephen. Northern Norway’s sea of islands and the role of boats in maritime colonization and settlement.. SAA 82nd Annual Meeting 2017-03-29 - 2017-04-02 2017. Wickler, Stephen. Allianser i Sápmi. Samernas Tid dokumentärserie.. 2017. Wickler, Stephen. Fish, Farm, or Fight. A new study is examining how Vikings adapted to climate change.. 2017. Wickler, Stephen. We know Vikings as infamous raiders—was that merely a response to climate change?. 2017. Wickler, Stephen. Climate Change: Some Lessons From the Vikings. 2017. Wickler, Stephen. Forum presentation: Tromsø University Museum partner project contribution. CINE Kick-Off Meeting 2017-09-26 - 2017. Wickler, Stephen. Forskningsprosjekt "Høgfjellsarkeologi og villreinfangst i Nord": status of foreløpig resultater.. SPARC (Snow Patch Archaeological Research Cooperation) avslutningsworkshop 2017-10-12 - 2017-10-13 2017. Niemi, Anja Roth; Wickler, Stephen; Jørgensen, Roger. Vassdrag i Nord-Norge. Tanker om kunnskapshull og potensial for ny kunnskap. Sektoravgift: Faglig program for Midt- og Nord-Norge. Seminar om kunnskapshull/kunnskapspotensial 2017-04-19 - 2017. Wickler, Stephen. Utgravning av Lovundbåten: et handelsfartøy fra 1400-tallet på øya Lovund på Nord-Helgeland. Samarbeidsmøte for nordnorsk forvaltningsarkeologi 2017-03-15 - 2017-03-16 2017. Wickler, Stephen. Archaeological evidence for maritime trade from Northern Norway in the late Iron Age and medieval periods.. EuroCOD research program network 2017-05-28 - 2017-05-30 2017. Wickler, Stephen. "Organising Knowledge": Northern Norwegian museum experience and the potential for Russian museum collaboration.. "Organising Knowledge" project start meetings 2017-02-15 - 2017-02-16 2017. Wickler, Stephen; Falck, Tori. Lovundbåten:Nord-Norges eneste bevarte middelalderbåt. Årbok Norsk Maritimt Museum 2016. ISSN 1892-4786.s 55 - 61. Wickler, Stephen. Marinarkeologisk feltbefaringer i 2016 (8 rapporter). 2016. Wickler, Stephen. Forskningsprosjekt "Villreinjakt med fokus på bruk av bogasteller" - feltsesongen 2015. Samarbeidsmøte for forvaltningsarkeologi 2016 2016-03-30 - 2016-03-31 2016. Wickler, Stephen; Falck, Tori. Nord-Norges eneste middelalder skipsvrak, Norark insikt artikkel. (data) 2016. Wickler, Stephen. Naust arkeologi i Nord-Norge. Kulturminnedagene 2016 2016-09-14 - 2016-09-14 2016. Wickler, Stephen. Lovundbåten: maritim kontekst og pågående dokumentasjon. Nordlandsseminaret 2016 2016-10-20 - 2016-10-21 2016. Wickler, Stephen. NSF forskningsprosjekt "Paleoenvironmental perspectives on prehistoric human settlement of Arctic Norway: implications for climate, sea-level, and land-use changes during the Iron Age". Joint Proxies forskninsgruppe møte 2016-10-31 - 2016-10-31 2016. Wickler, Stephen. Iron Age human land use in Northern Norway. ECOGEN project kick-off meeting 2016-10-27 - 2016. Wickler, Stephen. Exploring the role of bayscapes and maritime trade for the coastal economy of Arctic Norway since the medieval period. Bayscapes: shaping the coastal interface through time 2016-05-23 - 2016-05-24 2016. Wickler, Stephen; Falck, Tori. The social context of boats and maritime trade in late medieval Norway: case studies from northern and southern peripheries. Sixth International Congress on Underwater Archaeology (IKUWA6) 2016-11-28 - 2016-12-02 2016. Wickler, Stephen. Utvikling av båtteknologi i Nord-Norge fra steinalder til middelalder - båtfunn fra myr i Tromsø Museums samling. Forskningsseminar på Arkeologi 2015-11-20 - 2015. Wickler, Stephen. Graver i myr: hva kan båtgraven på Øksnes og Skjoldehamnfunnet fortelle oss?. Foredrag tilknyttet utstilling "Mannen i Myra" 2015-11-08 - 2015. Wickler, Stephen. Marinarkeologisk feltbefaringer i 2015 (11 rapporter). 2015. Wickler, Stephen; Dove, Carla J.. Identification of bird species from a feather pillow in the Viking Age Øksnes boat grave.. Wilson Ornithological Society Annual Meeting 2015-07-15 - 2015-07-19 2015. Wickler, Stephen; Anderson, Scott F.; Balascio, Nicholas L.; D'Andrea, Robert; Bakke, Jostein. Paleoenvironmental reconstructions from Hollabåttjønnen Bog and Kulivatn Lake, near Tønsnes, Norway: climate change and human impact.. Perth III: Mountains of Our Future Earth 2015-10-04 - 2015-10-08 2015. Wickler, Stephen. Multiculturalism and archaeological waterscapes in northern Norway.. Forelesning til studenter fra Geographisches Institut, Johannes Gutenberg-Universität Mainz 2015-08-17 - 2015. Wickler, Stephen. Myrfunn og forhistorisk båter i Tromsø Musuems samling.. Tromsø Rotaryklubb møte 2015-03-02 - 2015. Wickler, Stephen. Perceiving heritage: experiences from Palau, Queensland and northern Norway.. Contact Zones: Ethnography, performativity and mediatization of cultural heritage through artistic interventions. 2015-06-29 - 2015-06-30 2015. Wickler, Stephen. Australian South Sea Islanders: materiality, identity and cultural heritage.. Forskningsseminar 2015-01-21 - 2015. Wickler, Stephen. Kunnskapsstatus og kunnskapshull i regulerte vassdrag i Nord-Norge.. Seminar - Faglig program for vassdragsundersøkelser i Midt- og Nord-Norge 2015-10-22 - 2015-10-22 2015. Wickler, Stephen. Vestvågøy: lokaliteter med potensiale for bruk som "joint proxies".. Møte i Joint Proxies forskningsgruppe 2015-03-04 - 2015-03-04 2015. Wickler, Stephen. Oversikt - TMUs "reinfangst og bogastillinger" prosjekt. Samarbeidsmøte for kulturminneforvaltning i Nord-Norge 2015-03-25 - 2015-03-26 2015. Wickler, Stephen. Fangslokaliteter i Nord-Norge: villreinjakt med fokus på bruk av bogasteller.. Nettverksmøte i Villreingruppe, Utmarksnettverk, Forskning i Felleskap 2015-03-18 - 2015-03-20 2015. Wickler, Stephen. Geokjemisk analyse av kleberkar fra førromersk jernalder: foreløpige resultater fra Norges Geologiske Undersøkelse(NGU).. Kleberseminar, Utmarksnettverk, Forskning i Felleskap 2015-03-11 - 2015-03-13 2015. Wickler, Stephen. Transformations of the coastal economy in northern Norway from the Viking Age through the medieval period: marginalization or enhanced self-determination?. EAA Glasgow 2015 2015-09-02 - 2015-09-05 2015. Wickler, Stephen. The centrality of small islands in Arctic Norway from the Iron Age to the recent historic period.. SAA 80th annual meeting 2015-04-15 - 2015-04-19 2015. Wickler, Stephen. Omvisning i arkeologisk samling. Desembernatt 2014-12-04 - 2014. Wickler, Stephen. Båtfunn på land: myrfunn i Tromsø Museums samling. Ka skal vi gjømme på? 2014-11-10 - 2014. Wickler, Stephen. Relasjoner mellom forskning og forvaltning: erfaring fra Nord-Norge. NAM 2014 2014-11-06 - 2014-11-08 2014. Wickler, Stephen. Marinarkeologisk feltbefaringer i 2014 (8 rapporter). 2014. Wickler, Stephen. Middelalderens Vagar: undervannsarkeologiske kilder. Direktørmøte for kystkultursamarbeid 2014-09-30 - 2014-09-30 2014. Wickler, Stephen. Glocal perceptions of cultural heritage in the Pacific: a view from Palau and Queensland. EAA 20th Annual Meeting 2014-09-10 - 2014-09-14 2014. Wickler, Stephen. The materiality of South Sea Islander heritage in Queensland, Australia. Heritage 2014 2014-07-22 - 2014-07-25 2014. Wickler, Stephen. The materiality of South Sea Islander heritage and identity in Queensland. School of Social Sciences Research Seminar Series 2014-05-23 - 2014. Wickler, Stephen. Cultural heritage, museums and material culture: comparative perspectives from northern Norway and the Pacific. Critical Approaches to Museums and Heritage Research Seminar Series 2014-03-13 - 2014. Wickler, Stephen; Sommerseth, Ingrid; Jørgensen, Roger. Høyfjellsarkeologi i Nord-Norge. Spor etter fonnefangst på villrein. Snow Patch Archaeological Research Project (SPARC) brukermøte 2013-01-07 - 2013-01-08 2013. Wickler, Stephen. Marinarkeologisk feltbefaringer i 2013 (11 rapporter). 2013. Wickler, Stephen. Rapport fra utvidet graving etter båtfunn i myr, Tårstad, Evenes k., Nordland fylke. 2013. Wickler, Stephen. Båtfunn på land. Myrfunn fra Tromsø Museums samling. Forskningsdagene - Åpen Dag 2013-09-22 - 2013-09-22 2013. Wickler, Stephen. Arkeologi og "vannskap" / The archaeology of Waterscapes. Midlertidig utstilling 2013-09-19 - 2013-12-19 2013. Wickler, Stephen. Rapport fra fellesbefaring med NGU av kleber- og kvernsteinsbrudd i Trøndelag, 20-25.august 2013. 2013. Wickler, Stephen; Jørgensen, Roger. Rapport fra befaring av fjellfunn lokaliteter i Seiland nasjonalpark, vest Finnmark. 2013. Wickler, Stephen. Historien om Bårsetbåten og andre båtfunn i Troms. invitert foredrag 2013-02-21 - 2013. Wickler, Stephen. Fjellregistrering - status 2013. Samarbeidsmøte kulturminneforvaltningen 2013 2013-04-15 - 2013-04-16 2013. Wickler, Stephen. Marinarkeologi ved Tromsø Museum - status 2012. Samarbeidsmøte i kulturminneforvaltningen 2013 2013-04-15 - 2013-04-16 2013. Wickler, Stephen. Millstone archaeology in northern Norway: museum collection analysis and quarry surveys. Final Millstone seminar 2013-04-17 - 2013-04-19 2013. Wickler, Stephen. Rapport fra feltundersøkelse i forbindelse med båtfunn i myr, Tårstad, Evenes k., Troms. 2012. Wickler, Stephen. Båtfunn på land - myrfunn i samlingene. Jubileumsarrangement, TMU 140 år 2012-10-14 - 2012-10-14 2012. Wickler, Stephen. Marinarkeologisk feltbefaringer i 2012 (13 rapporter). 2012. Wickler, Stephen; Jørgensen, Roger. Rapport fra registrering av kulturminner i Nord-Rekvika, Arnøya, Skjervøy kommune, Troms fylke. 2012. Wickler, Stephen; Jørgensen, Roger. Rapport fra fjellfunn befaring ved Blåisen, Narvik kommune, Nordland fylke. 2012. Wickler, Stephen. Forvaltning av kulturminner under vann in Nord-Norge. Møte i Miljøforum Nordland 2012-11-27 - 2012-11-28 2012. Wickler, Stephen. Kleber i Nord-Norge: Forskningsstatus og foreløpige resultater fra bruddbefaringer. Utmarksnettverket - Workshop i Roma 2012-12-03 - 2012-12-04 2012. Wickler, Stephen. Historic preservation, museums and community-based approaches to cultural heritage: a comparative perspective from Palau and northern Norway. Ecomuseums 2012 2012-09-19 - 2012-09-21 2012. Wickler, Stephen. Power, knowledge and cultural heritage in Palau: an archaeological perspective. Power in Oceania, Pacific Alternatives closing conference 2012-03-12 - 2012-03-15 2012. Wickler, Stephen. Arkeologisk utgravning på Steinavær, Bjarkøy k. og Halvardsøya, Tranøy k., Ytre Senja, Troms fylke. 2012. Wickler, Stephen. Fjellfunnprosjekt 2012. Samarbeidsmøte Kulturminneforvaltning 2012 2012-05-02 - 2012-05-03 2012. Wickler, Stephen. Marinarkeologi på Tromsø Museum, 2011. Samarbeidsmøte, kulturminneforvaltning 2012 2012-05-02 - 2012-05-03 2012. Wickler, Stephen. Kystkultur og maritim arkeologi med fokus på Nord-Troms og Vannøya. invitert foredrag, Burøysund Bygdemuseum 2012-04-19 - 2012. Wickler, Stephen. The potential of tephrochronology and other geoarchaeological approaches for understanding prehistoric settlement in Arctic Norway. forskningsseminar, Institutt for kultur og samfund, Aarhus University 2012-02-23 - 2012. Wickler, Stephen; Lind, Keth. Bosetning på Finnes, Ingøya i Vest-Finnmark: foreløpig resultater fra sikringsgravning i 2011. forskningsseminar, Institutt for arkeologi og sosialantropologi (IAS) 2012-04-27 - 2012. Wickler, Stephen. Fiskeværsbosetting og maritim bruk fra jernalderen til nyere tid på Borgvær, Vestvågøy, Lofoten. forskningsseminar 2011-04-08 - 2011-04-08 2011. Wickler, Stephen. Arkeologisk undersøkelse av maritime kulturminner på Sirines i Forsan, Steigen k., Nordland fylke. 2011. Wickler, Stephen. Marinarkeologisk feltbefaringer i 2011 (15 rapporter). 2011. Wickler, Stephen. Alternative perceptions of cultural heritage in Palau, western Micronesia. forskningsseminar - Seksjon for kulturvitenskap 2011-11-16 - 2011. Wickler, Stephen. Marinarkeologi i Nord-Norge og Harstad. klubbmøte 2011-12-13 - 2011. Wickler, Stephen. The Potential of shorline and shallow submerged Iron Age and medieval archaeological sites in the Lofoten Islands, northern Norway. HOMER 2011 Conference 2011-09-27 - 2011-10-01 2011. Wickler, Stephen; Sommerseth, Ingrid. Muligheter for snøfonneregistreringer i Nord-Norge?. Villreinseminar, Utmarksarkeologi 2011-06-20 - 2011-06-22 2011. Wickler, Stephen. Marinarkeologisk feltbefaringer i 2010 (17 rapporter). 2010. Wickler, Stephen. Field Report. Marine archeological survey: power cable route from Kvalfjord (Hammerfest, Finnmark) to the Goliat FPSO. 2010. Wickler, Stephen. Raising the Belgica? Report from an inspection trip to Belgium, October 18-21, 2010. 2010. Wickler, Stephen. Alternative perceptions of cultural heritage in Palau and the importance of community-based approaches to management and preservation. Forskningsseminar arkeologi 2010-02-26 - 2010. Wickler, Stephen. Båtfunn fra middelalderen i Fiskvågvatnet. Saltdalsboka 2010; Volum 2009/2010. ISSN 0802-6009.s 5 - 11. Wickler, Stephen. Sámi waterscapes and the prehistory of North Norway: the centrality of coastal and inland water-based activity for understanding interaction and cultural relationships. 15th Annual Meeting of the European Association of Archaeologists 2009-09-15 - 2009-09-20 2009. Wickler, Stephen; Pedersen, Torstein; Amundsen, Colin. Hva forteller torskens øresteiner om fisket i middelalderen og nå?. Ottar 2009 (274). ISSN 0030-6703.s 23 - 30. Wickler, Stephen. Tromsø Museums erfaring med dendrokronologisk datering i Nord-Norge. Norske skipsfunn - teknologi, kronologi og opprinnelse 2009-04-28 - 2009-04-29 2009. Wickler, Stephen. Gauging perceptions of cultural heritage in Palau, western Micronesia. Pacific Alternatives: Cultural Heritage and Political Innovation in Oceania 2009-03-24 - 2009-03-27 2009. Wickler, Stephen. Boatbuilding, ethnicity and submerged cultural heritage in North Norway: visualizing Sámi identity. A Circumpolar Reappraisal. The Legacy of Gutorm Gjessing (1906-1979) 2008-10-10 - 2008-10-12 2008. Wickler, Stephen. 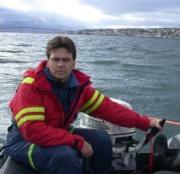 Maritime activity in North Norway and historic contacts with Russia: an archaeological perspective. Pomor Culture and Northern Seafaring 2008-09-23 - 2008-09-24 2008. Wickler, Stephen. Arkeologiske undersøkelser i Altevatn, Nord Troms. Vassdragsundersøkelser og arkeologiske kulturminner i vassdrag 2008-04-08 - 2008-04-09 2008. Wickler, Stephen. Sámi waterscapes and the prehistory of North Norway. Sami History and Prehistory: Archaeological Perspectives from Late Neolithic to Present Time 2008-11-20 - 2008-11-22 2008. Wickler, Stephen. Maritime Chiefdoms in Oceania and Scandinavia: some thoughts on island archaeology, community organization and boathouses. Maritime Chiefdoms: Social governance in island societies, Maritime Chiefdom Seminar series 2007-04-27 - 2007-04-29 2007. Nilsen, Gørill; Wickler, Stephen. Naustet i Skonsvika, Berlevåg. Naust og mangeromstufter. 2007. Wickler, Stephen. Arkeologisk registrering i reguleringssone, Altevatn, Indre Troms. Det Norske Arkeologimøtet (NAM) 2007-11-08 - 2007-11-09 2007. Wickler, Stephen. Kulturminner under vann, forhistorisk båter og etnisitet. Hva er samisk?. Gratangen samisk båt seminar 2007-03-14 - 2007-03-16 2007. Wickler, Stephen. Cave and rock shelter use in the Mariana Islands, Western Micronesia: multifaceted insights into Chamorro settlement from Rota. VII International Conference on Easter Island and the Pacific: Migration, Identity and Cultural Heritage 2007-08-20 - 2007-08-25 2007. Wickler, Stephen. Hadde samene naust? Arkeologisk naustforskning i Nord-Norge. Desembernatt 2006-11-30 - 2006. Wickler, Stephen. Ilden i sentrum (ny steinalder ustilling). leder, styringsgruppe 2006-07-07 - 2006. Wickler, Stephen. Rock Art: a guide to documentation, management, presentation and monitoring of Norwegian rock art. 2006. Wickler, Stephen. NRK P1 radio intervju om naustforskning i Nord-Norge. 2006. Nilsen, Gørill; Wickler, Stephen. Ny arkeologisk utgraving. 2006. Nilsen, Gørill; Wickler, Stephen. Ni år og med på feltarbeid i Lyngen. Juniorarkeolog. 2006. Nilsen, Gørill; Wickler, Stephen. Kort rapport fra sommerens utgraving i nausttuft i Skonsvika. 2006. Wickler, Stephen. Naust i Nord-Norge fra et maritimt perspektiv. forskningsseminar 2006-03-24 - 2006. Wickler, Stephen; Amundsen, Colin. Subsistence and Commercial Cod Fishing in Medieval Arctic Norway: a comparison of faunal evidence from terrestrial and submerged cultural deposits. ICAZ 06 Congress 2006-08-23 - 2006-08-26 2006. Wickler, Stephen; Nilsen, Gørill. Iron Age boathouses in Arctic Norway viewed as multifuncitonal expressions of maritime cultural heritage. Maritime Heritage 2005 2005-04-18 - 2005-04-20 2005. Wickler, Stephen. Iron Age boathouses in northern Norway: beyond 'boat storage' to a more holistic maritime perspective. 11th Annual Meeting, European Association of Archaeologists (EAA) 2005-09-05 - 2005-09-11 2005. Wickler, Stephen. Hva er maritim arkeologi i Nord-Norge?. Mødding samling 2005-04-01 - 2005. Wickler, Stephen. Kulturminner under vann: skattejakt eller vitenskap?. desembernatt 2005-12-01 - 2005. Wickler, Stephen kent. Colonization and interaction in Micronesian prehistory: a zooarchaeological assessment. Anthropology Colloquium Series 2004-04-08 - 2004. Wickler, Stephen kent. The Seamless Join? Integrating terrestrial and submerged cultural landscapes. 15th Annual Symposium on Maritime Archaeology and History of Hawaii and the Pacific 2004-02-14 - 2004-02-16 2004.